LMGPR is expanding its PR services with a new entertainment and music practice: LMGPRTrax. LMGPR has prior experience working with authors, musicians and celebrity talent and pulls from Sony Entertainment, Virgin Records and Warner Brothers. The agency team resides in Los Angeles and San Francisco Bay Area. Watch for the new site coming soon. In its first week, the video went viral with more than 40,000 views. “The Closer I Get To You” is an electro remake of the 1977 hit by Roberta Flack and Donny Hathaway and is the first in a series of songs Aki Starr will produce on the Renegade Music label. Starr is a singer, songwriter, dancer, actor and music producer. He was recently the lead singer on Jorge Santana’s, Gracias Madrecitas and performs with Foreverland, an electrifying 14-piece tribute to Michael Jackson. Starr also played the lead role of Cesar Chavez in a musical adaptation of his life in Let the Eagle Fly. For Aki Starr… the sky’s the limit and LMGPR looks forward to helping this “Starr” shine! With so many social media outlets out there today, people relatively new to the social media phenomenon may find themselves overwhelmed. Luckily, Douglas Wray posted “Social Media Explained” to his Instagram. 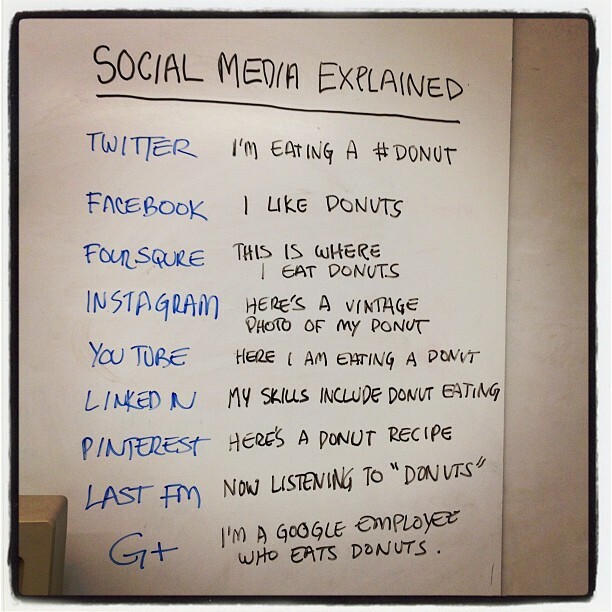 Using a doughnut as inspiration, the role of each social network is explained in its most primitive form. The tongue-in-cheek definitions outline the basic premise for each site so that even a social media newbie can understand. The photo went viral across Facebook, Twitter, blogs and eventually on major sites like Business Insider. Is there a PR lesson to be learned here? Perhaps. Maybe the idea that breaking something down into “the simplest terms and the most convenient definitions” (Thank you, Anthony Michael Hall) can be much more easily understood than a long drawn-out explanation. As PR pros we sometimes have just seconds to garner the attention of a writer, editor or producer. 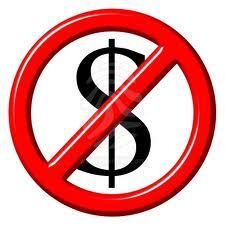 It is what we say or write in those first few seconds that sometimes determines whether or not our pitch is accepted. … or we could just bribe them with doughnuts. 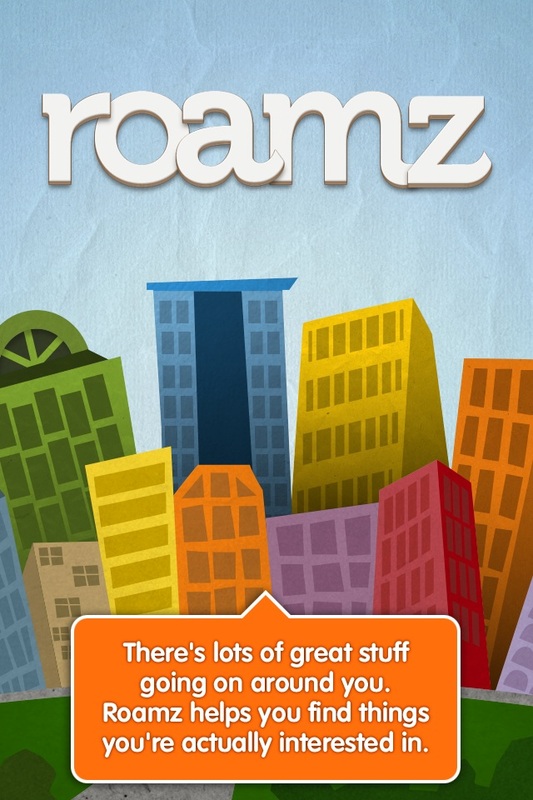 Aussie App “Roamz” into U.S.
LMGPR would like to introduce you to our newest client: Roamz. 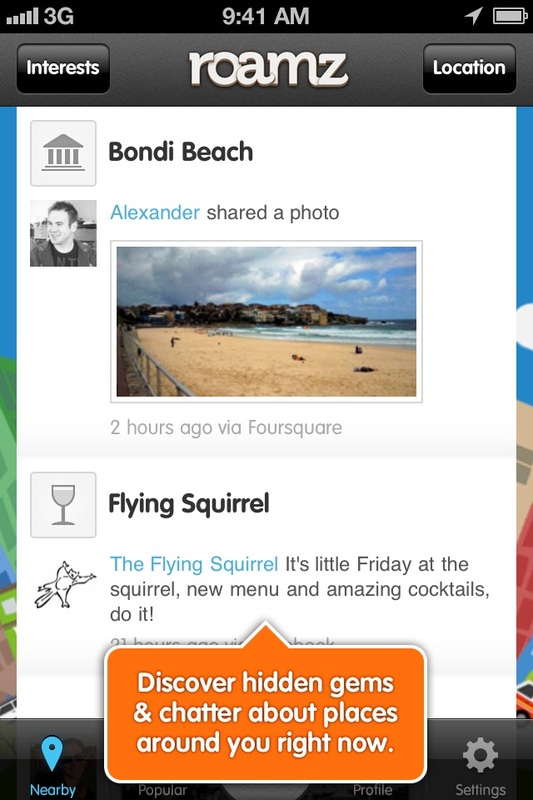 The Aussie-based company released its location-based intelligent mobile app at Web 2.0 in San Francisco on October 17th. So what is Roamz and what does it do? Roamz helps users discover the world around them by aggregating and showing relevant information about local places and events in real time. Well, let’s say for example it’s Friday night and you’re looking for something to do. You go to Roamz and you tell it where you are and what you’re interested in. Roamz then filters through all kinds of online content including social websites like Facebook, Twitter, Instagram and Foursquare and gives you information about what’s going on at that moment in that area. Roamz doesn’t tell you where to go, but instead let’s you know what’s happening… the rest is up to you. Another benefit to Roamz is that it includes artificial intelligence that customizes its results to each individual user. The more you use Roamz, the more it learns about you and the smarter it gets! The end result is a unique and customized experience for each person. And Roamz can be used anywhere! If you’re on a business trip or vacation, simply tell Roamz where you are at that moment and you’ll soon be in the loop about what’s going on. Roamz is designed to make you feel like a local, no matter where you are in the world! 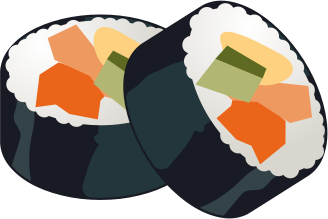 If you haven’t tried Roamz yet… you should! It’s free and can be downloaded here. Whether you’re at home or on the road, Roamz is the perfect app for people with busy mobile lifestyles looking to add serendipity to their lives! Tackable “TapsIn” to Bay Area News! That was the first Facebook update from Tackable co-founder and LMGPR alum Luke Stangel as TapIn Bay Area, a news-generating mobile app, went live Tuesday July 12th. TapIn Bay Area is the product of a partnership between Tackable and the California Newspapers partnership that includes the San Jose Mercury News. The app for news junkies allows users to contribute photos and information about news in their areas. In addition, people can request news information with the hope that someone in that particular area can provide a real time update. There’s more to TapIn Bay Area than just breaking news however. The interactive map also links to other news stories of the day, happening events, restaurant and movie listings, and one of the hottest social media trends right now: coupons and daily deals. 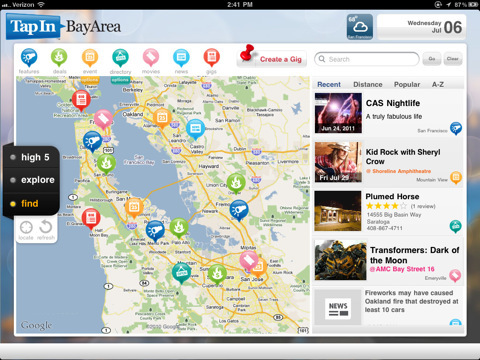 The end result is that TapIn Bay Area amounts to a real time digital newspaper. The app is currently free from the App Store with the intention of adding a future $4.95 monthly subscription fee. Those who post photos or contribute other content will earn points. Those points can then potentially be used toward free subscriptions. TapIn is also looking to generate revenue through local advertising, coupons and classifieds. 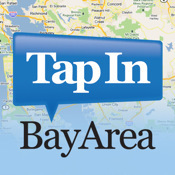 TapIn Bay Area is the first app of its kind and is looking beyond the Bay Area. The hope is that other newspaper groups will look to adopt the innovative technology, realizing that interactive newspapers may well be the future. LMGPR would like to extend its warmest congratulations to Luke Stangel and the entire Tackable team. It’s been a long road, but well worth the wait! All the best! Turntable.fm: Let’s Make Beautiful Music Together! 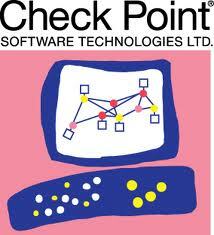 Remember chatrooms? Well, they’re back… sorta! This time however they are musically themed and not only do you get to chat, but you get to share music as well. 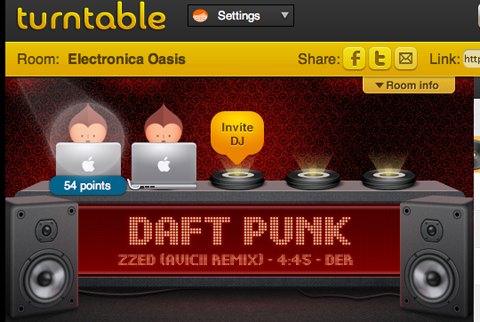 Of course I’m talking about Turntable.fm: the newest hangout for the cool kids! The rooms are mostly themed by musical genre: 80’s, Indie, Hip Hop, etc. Once you find a room you like, you find yourself in a crowd. On the stage are five DJ’s. The DJ’s take turns playing songs and the crowd has the option of liking or disliking the song and can make comments as well. There is a gaming element in that DJ’s are awarded status points for playing songs that people like. You can also become fans of DJ’s and you are notified via email when and where they are DJing. 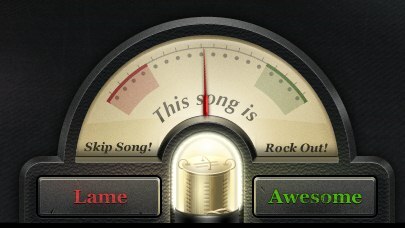 If a DJ leaves a room, anyone can jump into the open slot and start playing music by either taking songs from the Turntable.FM database or by uploading songs of their own. Also, if you’d rather, you can start your own room and play what you like. I spent hours in a room the other night with a friend from LA and a couple more from San Francisco just playing music and reminiscing. Don’t be surprised if an LMGPR listening room pops up in the near future with our talented PR staff providing the soundtrack to your workweek! The best part is that if you don’t want to DJ or chat, you can just listen to an uninterrupted stream of music all day long. No commercials and no hearing the same songs over and over again. Most of the DJ’s are music nerds and you are just as likely to hear an album track or an obscure B-side as you are a hit single. It’s also a great way to learn about new bands and find out what the hipsters are listening to! 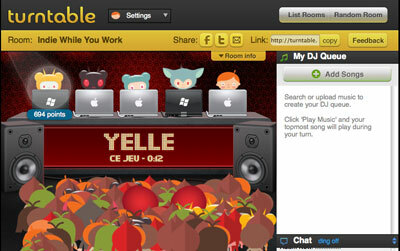 Warning though: Turntable.fm is addicting… don’t say we didn’t warn you! 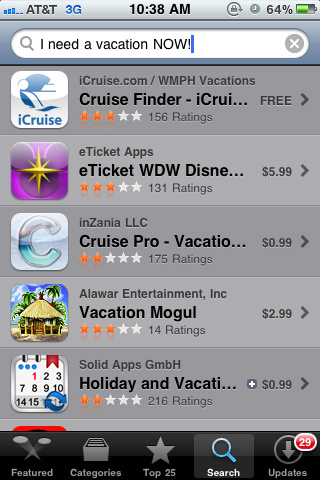 Hot Mobile Apps for Summer! 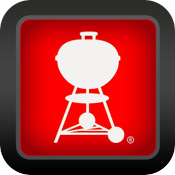 Weber’s on the Grill App ($4.99): I’ve had to sell grills as a job before and hold a particular appreciation for the Weber brand. This manufacturer consistently delivers quality merchandise and support for products that fit a range of budgets. Their range of accessories and books is also top notch, the books in particular providing both a wealth of practical knowledge and tasty looking recipes. Although this app will set you back a five-spot, it is another quality Weber product, offering videos, high-quality picks and time guides for different food. It also features a grill timer which tells you when your steak is done; this way, you don’t necessarily need a meat thermometer if you have to have it medium-rare like I do. Available on iPhone and iPad only though, so Android owners will have to settle for their less-powerful Weber BBQ Guide app. Gas Buddy(Free): I actually use this app on a regular basis; it shows current gas prices at gas stations around your location, cataloguing them by distance or price. When you choose one, it links you to directions and often provides a picture of the station itself, as well as reviews. I’m the type of person who will drive a slight distance if there is a dramatically lower gas price, especially filling up before a big trip, so this app is super helpful. It can also help you not run out of gas in the middle of nowhere. As long as you plan ahead, of course. It is available for both iOS and Android. 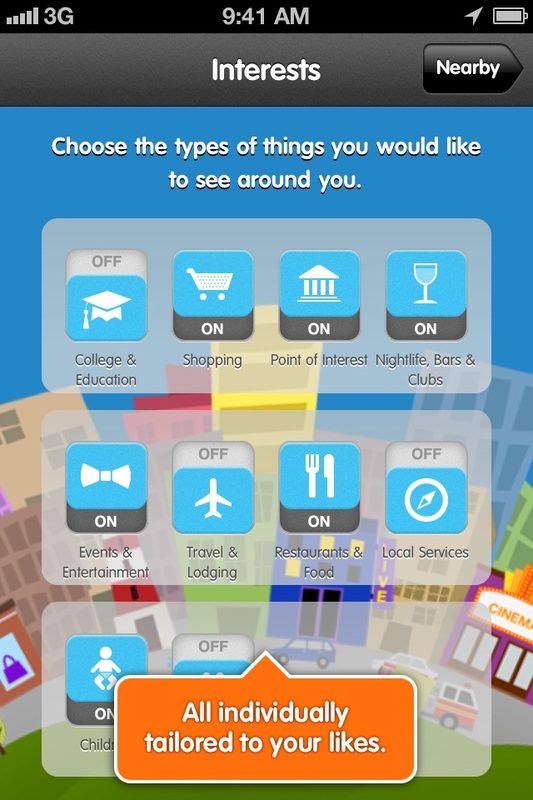 Tripcase (Free): Although Business Week raved about this app back in 2009, which is on-par with the Stone Age in the mobile world, Tripcase still feels like a solid travel app. The streamlined main menu allows access to all app features, including arrival times, flight schedules and various maps and phone numbers. As with most apps, Tripcase aggregates hotel pictures and car rental information, but it’s solidly put together and its’ PRO version adds nice features like airplane seat maps and conversion for currency. It is available on both iOS and Android. Word Lens (Free application + $9.99 charge for language): If you’ve ever found yourself in a foreign country, staring at a sign and wondering what it says, Word Lens might just be for you. This app is still in its’ early-adopter stage, able to only translate things into Spanish, but the process is already comprehensive and convenient. Simply aim your smart phone camera at the offending letters – those you cannot read, and they are immediately translated on your phone screen. It is available on the iPhone and iPad only for now, so Android users will have to rely on other methods of getting around in Cancun this summer. ¡Una Cerveza, Por Favor! Wikitude (Free): If you haven’t been paying attention, one of the next big things in mobile tech is Augmented Reality. Wikitude is an app that combines data with the images of the world around you, allowing you to discover and interact with your surroundings in various ways. Through different filters (or layers), you can pan your device around you to discover nearby locations. From there, you can interact with them – get directions, info, call, etc. If they could only integrate this technology into a headset, we could all have terminator-like vision. This app is available on both Android and iOS and is free! Don’t Get Burned on Facebook this Summer! 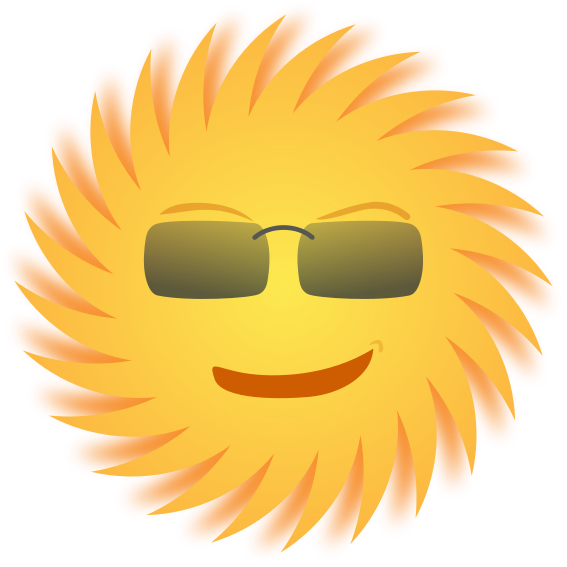 School is out, summer is here and it’s time to protect yourself… and we’re not just talking about the sun. While it is time to lacquer on the SPF for sun protection, there’s another potential summer hazard to be wary of: Facebook. It’s become the norm these days for students to chronicle their summer vacations. Mobile phones now allow for status updates and new photos in real time, but this can potentially lead to some problems. While it may seem innocent enough at the time, liking your friend’s edgy comments, posting a suggestive status update, or posting an *ahem* alcohol-induced photo could potentially come back to haunt you. Why? Because your Facebook profile is an extension of your reputation. In this Internet age, job recruiters are looking at social networking sites before hiring prospective employees and that moment of spontaneity could potentially result in you not landing that dream job. Meanwhile, a different type of a hazard has the potential to increase during the summer months that targets those most vulnerable: children. Consumer Reports recently reported that of the 20 million minors who actively use Facebook, 7.5 million are younger than 13. With extra time on their hands and parents at work, the younger set has the potential to spend hours on the social networking site. This could not only result in an increase in cyber bullying by peers, but could also lead to “friending” people who aren’t who they say they are. People of all ages need to be aware of the potential dangers and possible repercussions that exist in cyberspace. Some of LMGPR’s very own clients have joined the fight for safety & personal accountability online. Reppler is a Facebook application that will alert you every time you or someone in your network uses profanity or offensive language that could affect your reputation. 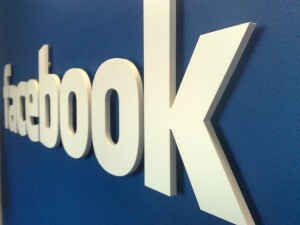 It provides 24-hour monitoring, something that even the most dedicated Facebook user can’t do. The result is immediate awareness and the ability to act upon inappropriate content. SocialGuard, a product of Check Point Security, allows parents to monitor all activity on their child’s Facebook account, wherever they use Facebook, without having to “friend” their child. SocialGuard provides parents peace of mind knowing they can keep an eye on their child as their tween/teen experiences social networking sites without encroaching on their privacy. In addition, SocialGuard fosters open communication between parent and child/teen by alerting the parent to any safety issues that the child might be uncomfortable discussing. The message here is simple: don’t let your summer become a bummer! 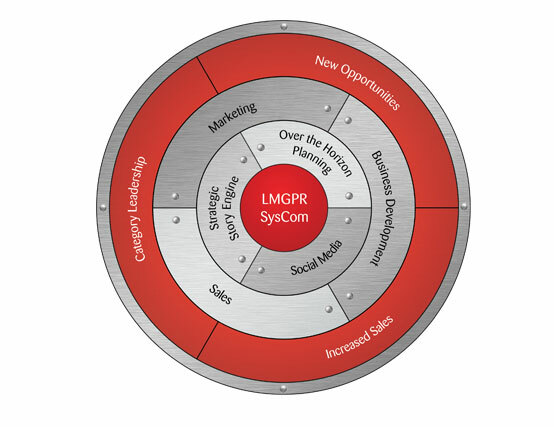 LMGPR wants your summer to be a safe one! Keep your online reputation in check, talk to your kids, and always wear sunscreen!